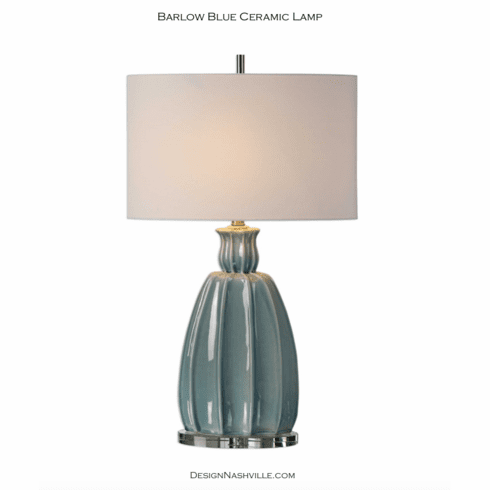 Moody soft blue lamp features crackled ceramic finish, curved ribbed shaping, and a thick crystal foot. Because of the nature of fired glazes on ceramic pieces, finishes vary slightly. The oval hardback drum shade is a white linen fabric.